Today, people are more interested in watching the variety of videos across the web. It made the vloggers step ahead and create evergreen content for their viewers. Vlogging has become more powerful today with the increase in watch time and usage of video content online. 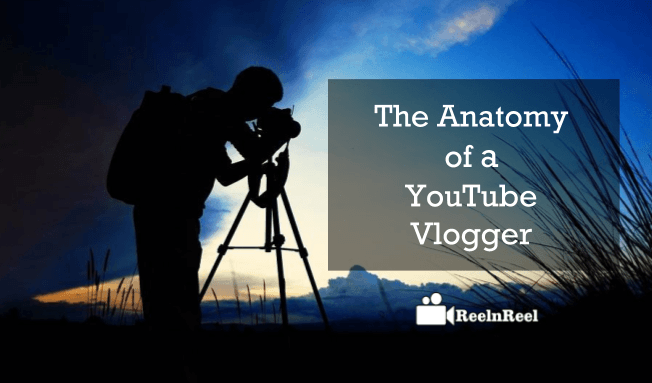 If you are interested in being a Vlogger, this is the right guide for you to get started by knowing the anatomy of a YouTube vlogger. Let’s get started to know everything about YouTube Vlogger. Vloggers have become the most famous stars across the web with their way of approach and conveying ability through their videos. Vlogging is an art which must craft with dedication and commitment along with the continuity of doing the things in a right manner. How vloggers choose their Channel name? How are vloggers making their vlog more effective? How are vloggers building better relationships and fan base to their vlogging channels? Vloggers are experts in some field and have excellent capability in grasping the things. They are quick learners and love to learn the things though they are expert in their fields. It is an outstanding quality that plays a role in every vlogger success. For example, beauty vloggers always learn about the new trends and new beauty products, etc. movie vlogger about new films, tech vlogger about new technology across the web and so forth. This continuous learning of various things in their respective field help them to get connected with the audience and become successful. Vloggers always like to film the exciting things and always focus on sharing the right and interesting information for their audience. They will not get impatient while editing their videos instead they like editing their videos and crafts them in an innovative. These are some of the best skills of a successful vlogger. Vloggers always like to interact with the new people and form new connections. They often respond to the audience and their queries on their vlogs. They will not step back to connect with the new audience and to create new content that is suggested by the people. They are very active on social networking platforms and are very connective with the people. Yes, vloggers put their efforts in the things they love and deliver the best information to their audience. They have self-discipline and good commitment over the things they do. For example, they will post the content basing on their schedule created and didn’t step back or feel lazy to do the content on audience interests. A successful vlogging channels have good schedules and follow perfect timings and always punctual in publishing their content online. The initial steps always reflect on the success of every vlogger. When comes to the anatomy of their first steps for their vlogging, you must know the necessary steps that are followed by the successful vlogger. Vlogging is not a business; it’s passion towards things. Most of the successful vloggers are not commercial artists or commercial channels; they become profitable with their passion towards their profession or hobby. Vloggers always choose the right niche for their vlogging channels like beauty, fashion, movies, politics, technology and much more. Their niche always plays a crucial role in their success online. So, successful vloggers always choose their most interested and enjoyable niche. Most successful vloggers follow the consistency in publishing their content. They will give more value to their creativity and innovative presentation. They consistently upload their videos at appropriate timings like a schedule in a disciplined way. Vloggers want their name basing on their niche they have selected for their videos. They always vote for the name that is memorable, catchy, unique and different. The majority of Vloggers like to choose a name that is easy to pronounce. They think it helps their audience to remember their channel with much ease. Some successful vloggers choose a unique name for their channel to stand out from the crowd and some of them like to choose the name which is domain free that can match their web domain. Some vlogger like to pick a name that is relevant and social media friendly as they think that social media is the best destinations for their vlog promotions and people can easily remember if it is a social type of word. Vloggers love to engage with the audience and interact with the audience on different topics. They love to entertain the people and entertain themselves with good fun. Most of the successful vloggers have a good social media presence, and they follow their potential audience on several social media platforms and also deliver their updates to their social accounts and hence getting connected with the possible viewers of their channel. They brand their channel by adding good branding values. They optimize their Vlog and the metadata of their videos for rankings across the search results. They build trust among their audience and always actively answer to their questions and follow the best suggestions given by their viewers. They use a strong call to actions that can make them stand unique as well as help them to reach the viewers through their channel. Vloggers make a lot of effort to get engaged with the audience. They create polls, respond to questions and engage with the people in different ways. It helps them get connected with the new people. They always ask for their audience feedback about their videos and follow their suggestions. It made them build a good relationship with their potential audience across the web. They are community lovers and always be active with the community and the discussions that are going on in the communities. It made them capable of building a strong fan base for their YouTube channels. Finally, this is the anatomy of a successful YouTube vloggers. Today you might have seen many vloggers as a YouTube stars who are earning both name, fame and money.